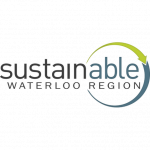 Home » Environmental Commissioners Report features Enviro-Stewards industry leading conservation work! 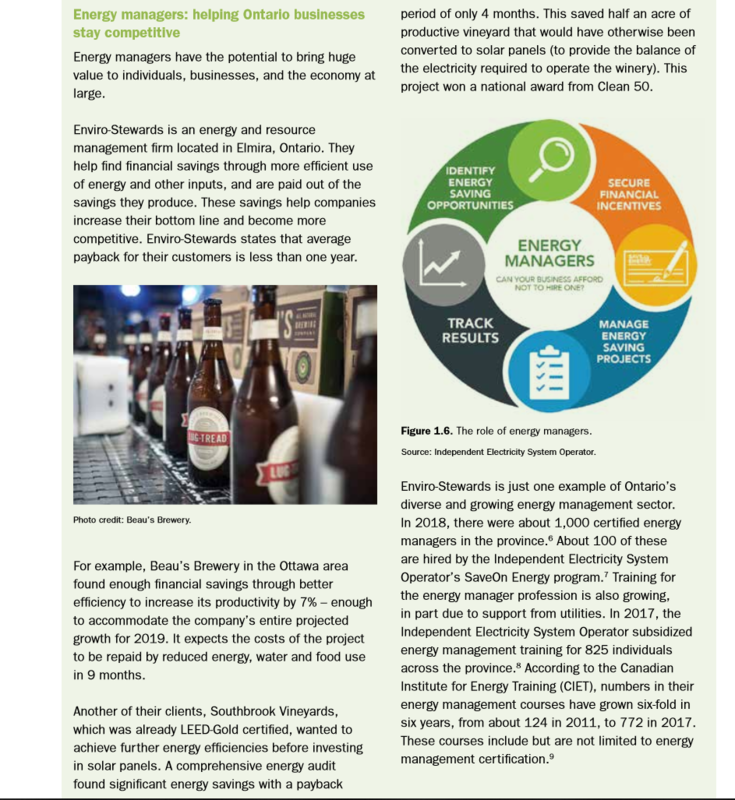 We are so very honoured to be included in the final report put out by the Energy Commissioners of Ontario! 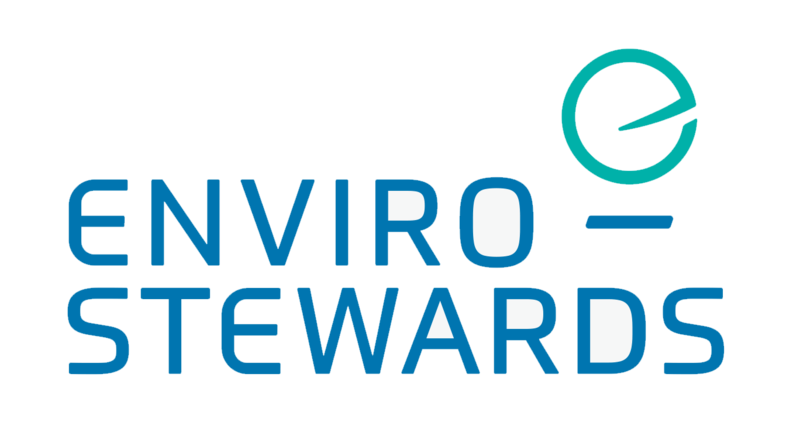 It is such a compelling write up about the ways that Enviro-Stewards has been leading conservation efforts and finding that contrary to the usual impression, conservation is a great way to make businesses more economically competitive while reducing their footprints! If you follow the link here you can read about how we have worked with Beau’s Brewery and Clean50 award winning South Brook Winery to conserve in exciting ways! You will find the story on page 19 of the report in the following link (page 19 is copied below as well). 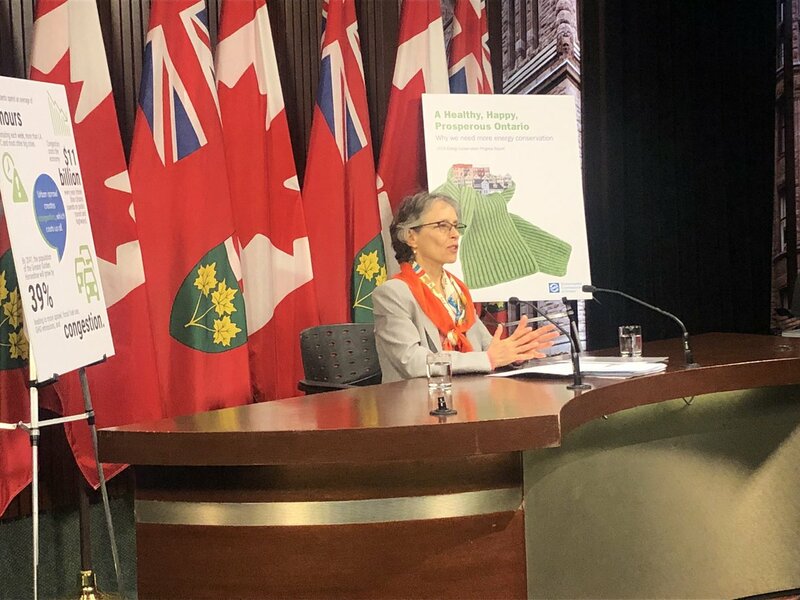 Also, Commissioner Saxe is hosting a webinar to go over the report’s findings at 11am March 29th. Sign up to watch it and learn more here. Commission for the Environment features Enviro-Stewards work!